The construction skills and certification scheme (CSCS) is a non-profit database of construction workers in the United Kingdom. A CSCS certification serves as proof that a person working in the construction industry in the UK is qualified for or is committed to obtaining the requisite training required for qualification for employment in the construction industry. To get a CSCS certification, intending applicants have to get a CSCS card that is appropriate for their skill level. 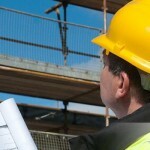 Qualification for a CSCS card is in turn hinged on having taken a relevant CSCS course. CSCS courses cover over 200 occupations and most construction companies in the UK require their workers to have a CSCS card even though it is not a legislative requirement. CSCS courses are structured to help applicants attain the required competence and commitment necessary for applying their skills in the right way. This ultimately makes working in the construction industry much safer with reduced risks of injuries or fatalities. The CSCS courses include the Site Management Safety Training Scheme (SMSTS), Site Supervisor Safety Training Scheme (SSSTS), Health and Safety Awareness (HSA), Level 1 Health and Safety in a Construction Environment among others. The SMSTS is a site safety scheme targeted at site managers and supervisors; people who are charged with planning, organizing and controlling the affairs of workers on a site. The SMSTS is a 5-day training course that is designed to equip participants with the ability to implement health and safety regulations affecting their daily onsite activities as well as guide their supervisors on the best practices in the industry. The certificate obtained is valid for five years. The SSSTS differs from the SMSTSS in that it is targeted at people who work or intend to work in a supervisory capacity only. It is a 2-day course with certification valid for 5 years and participants will be trained on their legal and health responsibilities as supervisors and how they can relate with other members on their team to ensure safety on the construction site. The HSA is an introductory course for newcomers to the construction industry. Participants are taught about construction hazards and how they can be controlled as well as steps towards achieving standards of safety for themselves and others onsite. Certification is valid for five years and this course can be completed in a day.